The PKI 9815 is designed to keep the whole body cool in high ambient temperatures using iced water to remove body heat. PKI 9815 offers a safe and cool environment for people who must maintain a high level of efficiency and concentration under extreme heat. When wearing heavy protective clothing – such as our bomb protection suit PKI 9820 – or when particularly strenuous work has to be maintained over a long period in hot and humid environments (like firefighters, personnel in non-airconditioned armoured vehicles, mineworkers etc. ), the PKI 9815 is the right choice. Made from flame-retardant, knitted material it is ideal for IED-, EOD-, surveillance and chemical clean-up operations in hot climates. The suit requires no hazardous pressurised canister or toxic cooling agent and also offers protection against heat and flash fire balls. 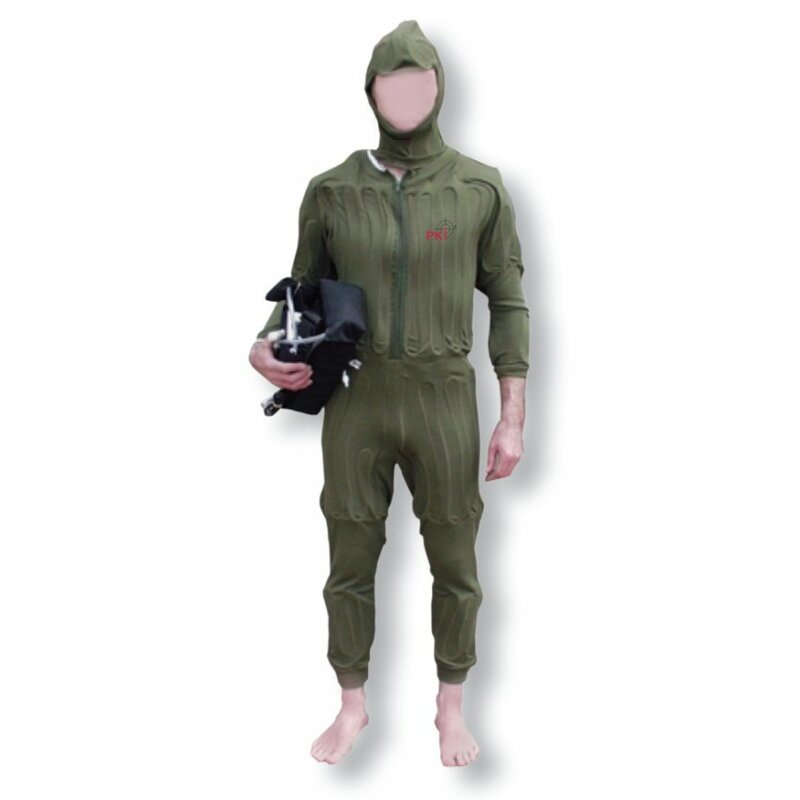 The one-piece suit covers the trunk of the body, the upper arm and upper leg areas and the head (close fitting/open faced hood). It comes as a complete system with: 12 VDC pump, 1.5 kg iced water bottles, rechargeable batteries, charger one size fits all!